It’s that time again. Head on over to PeasAndCrayons for the What I ate Wednesday link party. I’ve got lots to rave about so let’s get to the good stuff. I can’t even remember the last time I had cereal for breakfast. 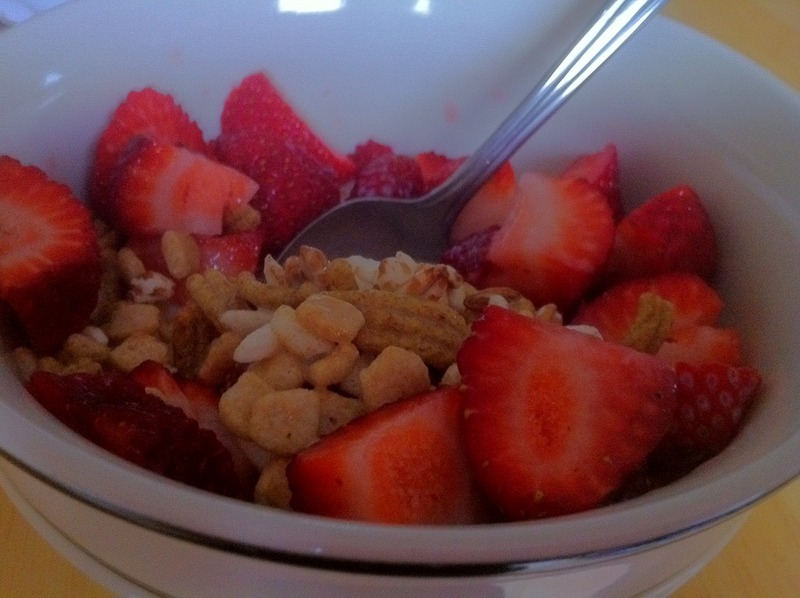 This morning I busted out some kashi go lean and added strawberries. In retrospect, chia seeds would have been a nice little addition. Snacks usually go unpictured…. usually they are horribly unexciting. Also, I can’t bring myself to take a picture of a nutrigrain bar in public. Not exciting. I’ve been wanting to make Mama Pea’s Zucchini Quinoa Lasagna for some time now. I wish I hadn’t waited so long. I made a few minor changes, but nothing huge; I also made it vegetarian, not vegan. Anyways, look who ate the first (few) pieces of lasagna. I can’t express how impressed he was, and how much he LOVED it. I’ll be expecting to receive Mama Pea’s cookbook as a gift any day now..
Mama Pea is a genius. Dinner was also something to rave about. To be honest we’ve had this dinner 4 times in the last week….. 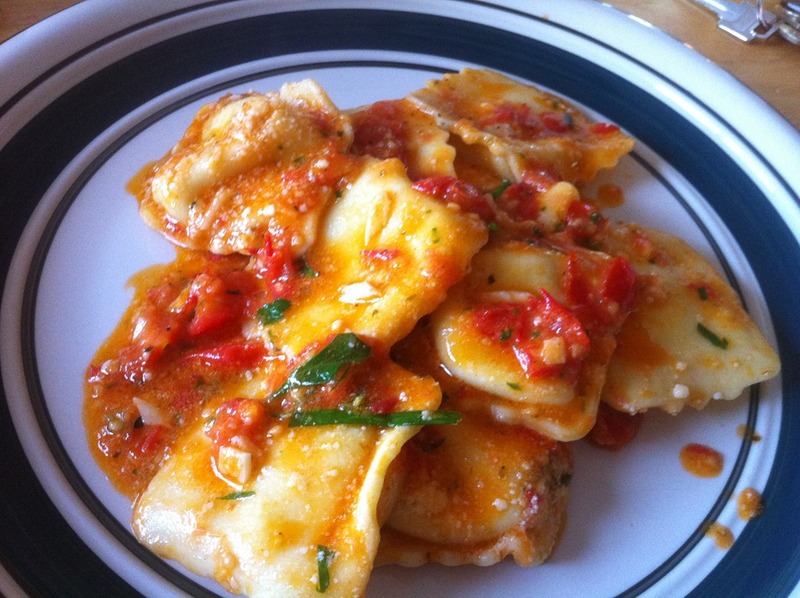 Cheese ravioli. All credit goes to Mr PG on this one. 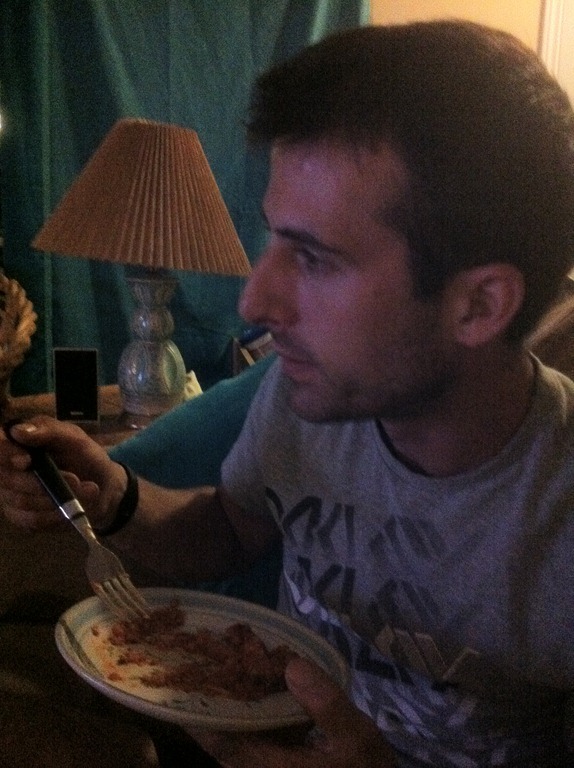 He took some fresh tomatoes from the garden, olive oil, and spices, and created an amazing sauce. Dinner ready in 5 minutes? Love it. It’s that time again! Pumpkin spice lattes are back 🙂 It’s pretty much the only reason I can tolerate this weather change, thank you starbucks. Are you a fan of pumpkin spice lattes? never tried the pumpkin spice lattes before! and i love eating cereal for breakfast–kashi is the best! 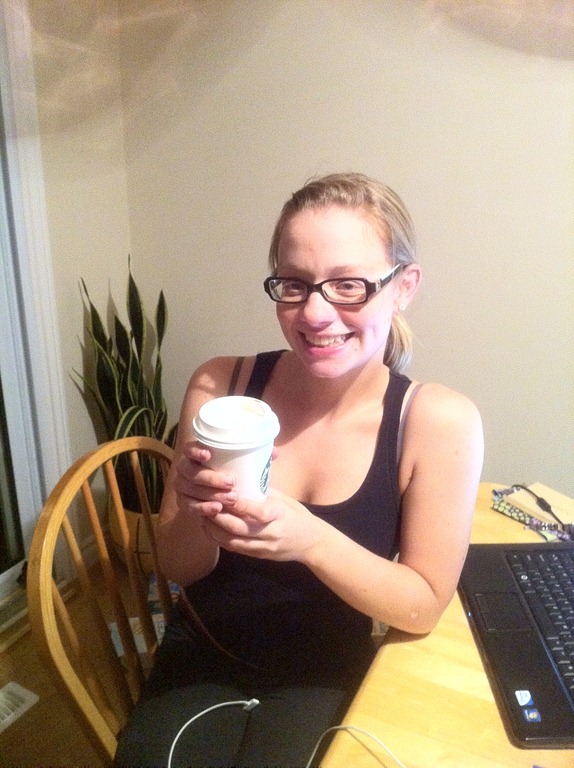 Love the puimpkin spice lattes!! Cereal is a like crack to me. Seriously, I could eat bowl after bowl of that stuff. Yum!